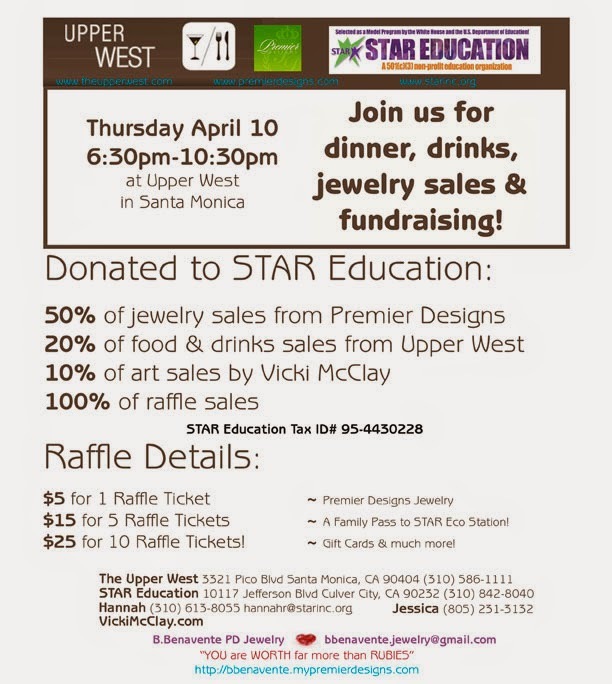 KTR Promotions in Venice Beach & Los Angeles California: Thursday, April 10th...Upper West Hosts Fundraiser for STAR Education! Thursday, April 10th...Upper West Hosts Fundraiser for STAR Education! On Thursday, April 10th, Upper West will host a fundraiser to benefit STAR Education from 6:30 pm – 10:30 pm. The restaurant will donate 20% of sales during the event to Star Education. The event will also feature a raffle with some incredible prizes. Premier Designs jeweler Bernadette Benavente and Artist Vicki McClay will be donating a portion of their sales to the cause. Hannah Rothblatt loves working at STAR Education and is excited about the fundraiser. She tells us a bit about the organization, "I am the Executive Assistant and Corporate Gifts/ Development Coordinator at STAR Education. We are a 501 (c)3 non-profit organization that provides in-school and after-school enrichment education programming for students throughout Los Angeles and California. We are in over 60 schools in Los Angeles alone, and serve tens-of-thousands of students annually. We have been named a "model program" by the White House, and recognized by LA Parent Magazine as being the BEST for much of our programming (as seen on our website, www.starinc.org). Over 60% of our students receive full or partial scholarships, as we are in many grant-funded schools in California. We have partnered with Los Angeles County Office of Education, Los Angeles Unified School District, and Beyond the Bell for much of our programming and events." 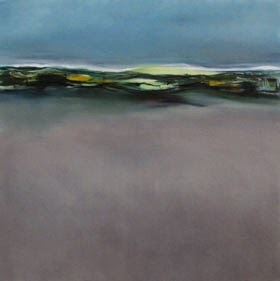 Artist Vicki McClay is very excited to participate in the STAR Education fundraiser. She is a Santa Monica local and her art is currently on view at Upper West. McClay was schooled at the Minneapolis Institute of Arts and the Walker Art Center. She continued her studies at the University of Minnesota and The College of Art and Design.